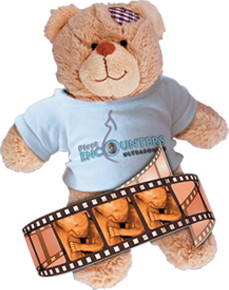 Unlike the rushed, clinical, and often impersonal environment of a busy hospital, First Encounters Ultrasound welcomes you with a personal commitment to providing an experience that is both pleasant and memorable from the moment you arrive. We provide a cosy atmosphere with soft lighting designed to soothe and relax during this unique and special experience. Parents, children, friends, and extended family members are all welcome to accompany you as you meet your unborn baby in live 4D motion, providing a unique and positive bonding opportunity. Our scanning room contains seating for up to six guests. Our highly experienced and qualified sonographers will review every step of your ultrasound screening and willingly answer any questions prior to and during your private baby scan. The position of your baby can on occasions be such that gender determination and 3D/4D imagery are difficult to achieve. On these occasions, the sonographer may ask you to take a gentle stroll to encourage movement of your baby before recommencing your scan. 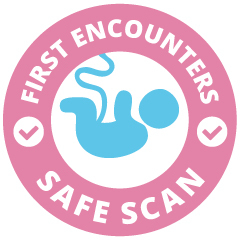 In the unlikely event that your baby is still in the wrong position, you will be offered a complimentary re-scan visit on an alternate date. Terms and conditions apply. On the extremely rare occasion that we are unable to obtain the desired images after your complimentary re-scan, the sonographer will provide a professional opinion as to whether the desired result would be achievable through further scanning. We trust at such time that you will appreciate we will have made every effort to achieve the desired result (notwithstanding issues beyond our control), and as such, any further elected scan would be chargeable. All of our 3D/4D baby scans are carried out using the GE Voluson E6, featuring genuine HDLive technology. GE Healthcare are the world’s leading providers of baby scan equipment, and no other unit comes close to the detail that the Voluson E6 is capable of capturing. All of our sonographers are registered with the Health Professionals Council. The Health Professions Council (HPC) are the regulator for health professionals, and they were established to protect the public. To do this, they keep a register of all qualified health professionals who meet their standards for training, professional skills, behaviour and health. There are several industry regulators to whose standards our business operations are required to conform. The first is the Care Quality Commission (CQC), who regulate health care and in particular diagnostic and screening activities within England; the second is Health Inspectorate Wales (HIW), who regulate the health care industry in Wales. We are proud to announce that our facilities located in England are approved, registered and regulated by CQC. Whilst HIW do not currently regulate the same diagnostic and screening activities in Wales, it is our policy to ensure that we operate to the highest industry standards; as such, you can be confident that our operations in Wales reflect the standards enforced by CQC regulations in England. Simply add your souvenirs at the "optional gifts & souvenir" section of the online booking screen, or tell your customer service representative when booking your scan by telephone. 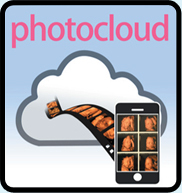 Instantly share your cherished scan images with family and friends. Unlimited access for 1 month only £5! A brand new Voluson E6 system is available at First Encounters Ultrasound clinic in Cardiff and Bristol. This means that we're now able to offer HD Live ultrasound scans at our clinic.